Security never looked so smart with the latest technology from Iotega. 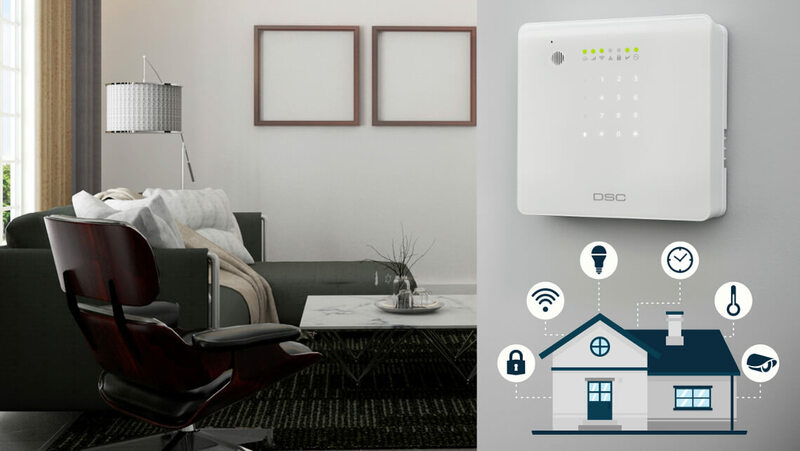 The next generation wireless security and automation platform provides our customers with the security they already know and trust, along with the freedom to choose their favourite home automation devices. Using Iotega we can provide our customers with the flexibility to start with a security only package and scalability to upgrade to a full security and home automation solution. Nothing offers better peace of mind as users can remotely monitor their home/business, regardless of how tech savvy they are. Installations are made simple with the latest innovations in wireless networking technology, less hassle for you. Quick and easy installation. Activate events, schedules and other triggers at the touch of a button. It supports all home/business members' needs, from traditional simple activation to mobile. It also supports popular light, thermostat, power sockets, door locks and other home automation devices. Its sleek, minimal design allows for discreet placement in any décor. Start with Security-only and upgrade to a full home automation system, all partnered with Securenet. Start with the basics and evolve with your customers' needs. Add your preferred offering of smart, environmental home automation devices and meet your ever-changing security and smart home/business needs. Works with Apple HomeKit. Automate smart devices based on your lifestyle. This system is fully encrypted for extra security Supports your favourite standard light, thermostat, power sockets, door locks and other connected devices. Watch your home from your phone. For more information why not give our security team a call to get expert advice on how this technology can work for you. Call or email us today for a free, no obligation quote.